Time flies by when you're running the pyramid speed interval workout since it requires you to pay so much attention to your interval times. The concept is that you're going up and down a "pyramid" by starting your hard interval at a one-minute segment, going up to a five-minute segment, and then working your way back down to one minute. Rest Interval Recover (easy pace) for 1 minute. Rest Interval Recover (easy pace) for 2 minutes. Cool down Slowly jog for 5 minutes. This workout is similar to the above workout, but it's easier to do on an indoor or outdoor 400m track. 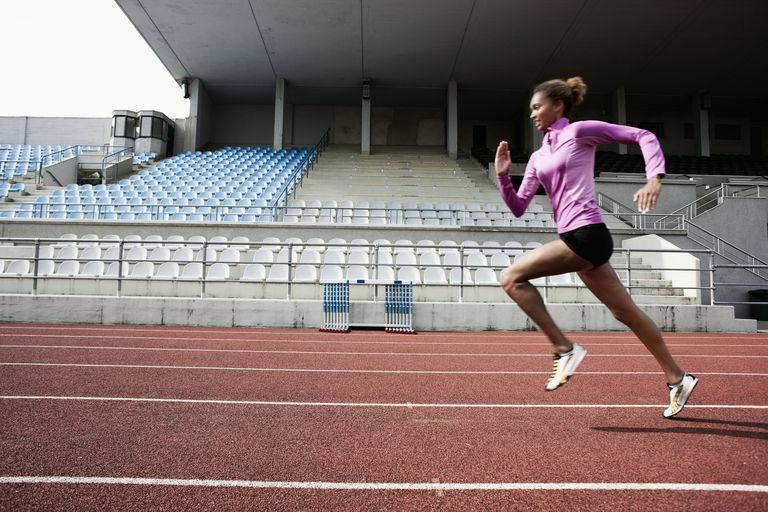 The concept is that you're going up and down a "pyramid" by starting your hard interval with one lap (400m), adding another lap until you get to four laps, and then working your way back down to one lap. Rest Interval Recover (easy pace) for half of work interval time.